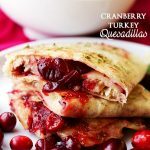 Cranberry Turkey Quesadillas – Sweet, tart cranberry sauce and tender turkey meat tucked inside melty, cheesy quesadillas. Alright, people. If these leftovers don’t go away, we will have to do something about it. We have to buck up. We have to hold our head high. We have to take charge. 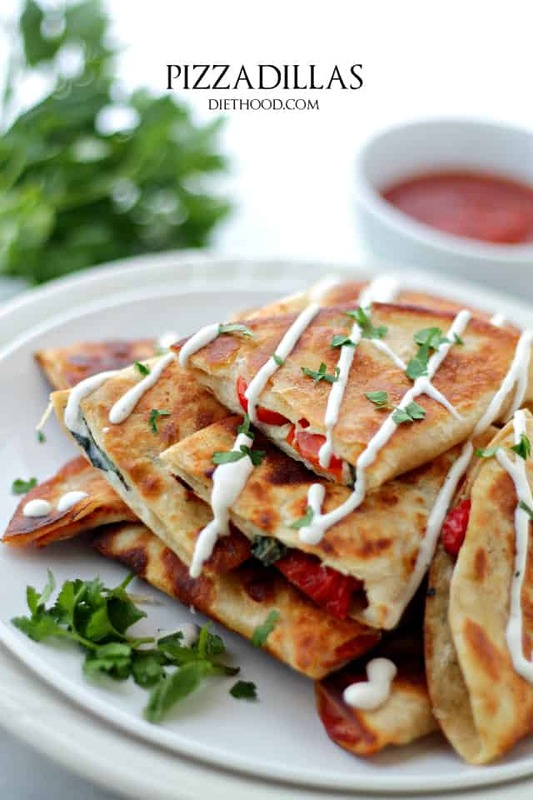 We have to stick it to the turkey and quesadilla-ize it. Also? These quesadillas are the reason for my ginormous love for Thanksgiving leftovers. Two unexpected things happened to me last week, and I feel it’s only right to tell you. It all happened so fast and at the time I wasn’t even sure of what was actually occurring. I’m still trying to process it all and come to an answer and a solution. First. My blog/website/this-place didn’t publish my Spiced Apple Cider Vinegar Cranberry Sauce recipe. :-/ Damn you, internets! 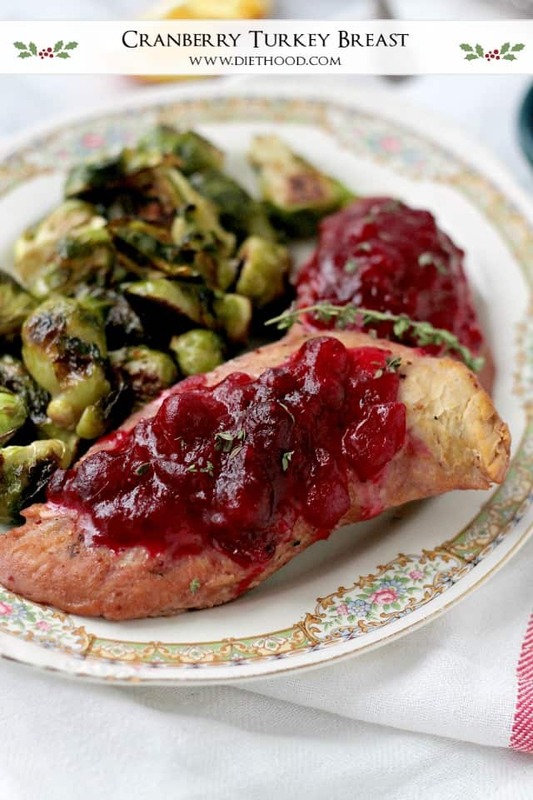 Thanksgiving Day came and went, and no cran sauce recipe… grrrr. But. But then. Then, this happened. If maybe for a moment, it made me forget how angry I was with my ‘puter. And the www. Hopefully, I will get it all sorted out and have that recipe publish itself before Christmas, but until then… Let’s start here. While this isn’t the hottest quesadilla you might ever look at, once you taste it, you’re going to wonder how you ever lived life without it. Though we’re only using like 4 ingredients, OHMAHGUSH, you’re going to want to attack this, face first. 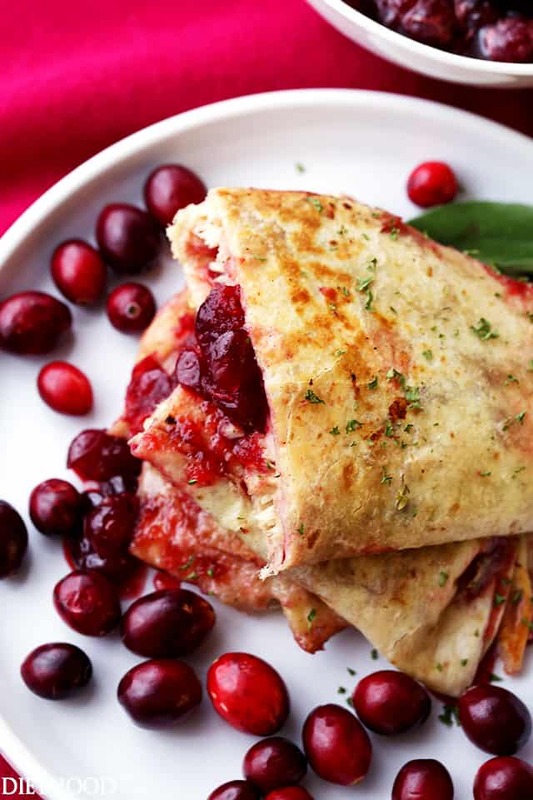 We all know that cranberry sauce and turkey go together like Cheech and Chong, but add some o’ that provolone cheese and a crunchy flour tortilla, and things start to get real serious up in hurr. If you don’t accomplish anything else in this day and/or life, make these ‘dillas. Stat. P.S. Coolest thing? If you don’t have turkey meat, use chicken. If you’re out of chicken, use ham. If there’s no ham, make it meatless! P.S.S. I’m not going to list the amount of ingredients you should use because this recipe is pretty straight forward – use as much or as little as you want. P.S.S.S. Don’t use less than 3 slices of cheese. 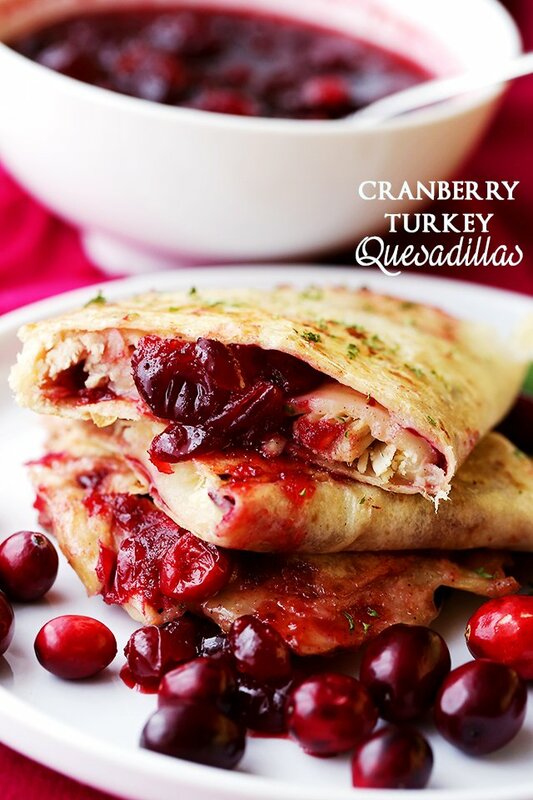 Sweet, tart cranberry sauce and tender turkey meat tucked inside melty, cheesy quesadillas. Drop a tablespoon of butter to melt. 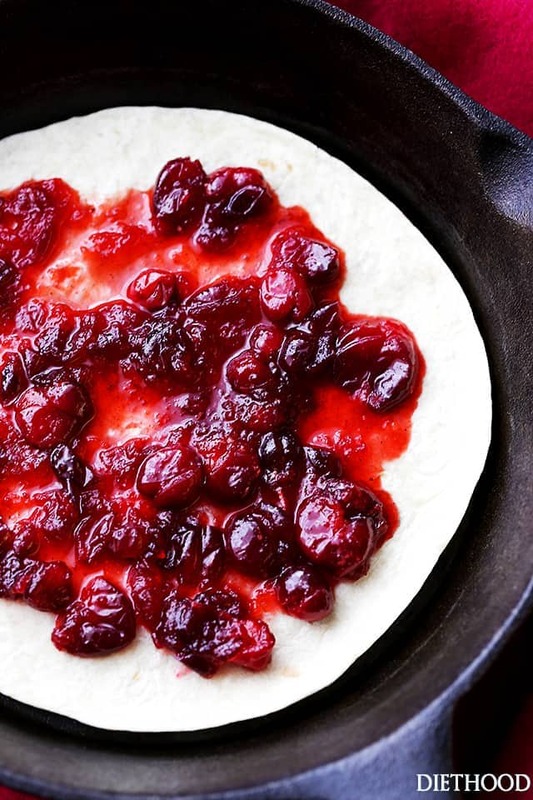 Spread cranberry sauce over each tortilla. 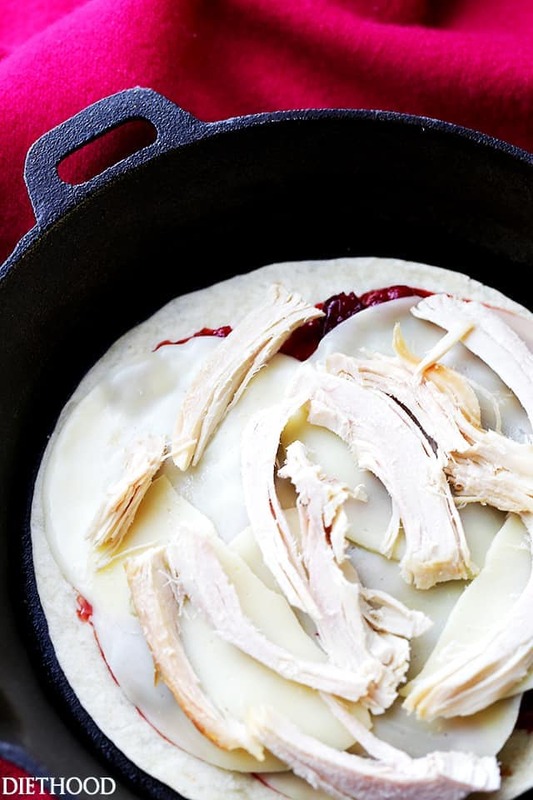 Divide up the toppings, cheese and turkey meat, evenly over the cranberry sauce. Transfer one tortilla to skillet, toppings-side-up. Cook for 30 seconds, or until cheese begins to melt. Using a spatula, fold one side of the tortilla over the toppings. Cook for a few more seconds; flip it over and continue to cook just until lightly browned. Remove from skillet and transfer to a paper towel-lined plate. Continue to cook the rest, adding more butter as needed. Edited to ADD: Measurements of ingredients included for those that want complete Nutritional Analysis. But, you can use as much of each ingredient, or as little as you want. What did you garnish them with in the photo? This looks absolutely good. Just looking at it makes me crave one quite bad. Okay this might sound dramatic but if I was on deathrow, this might just be my last meal request, lol!! This looks sooo good!!! 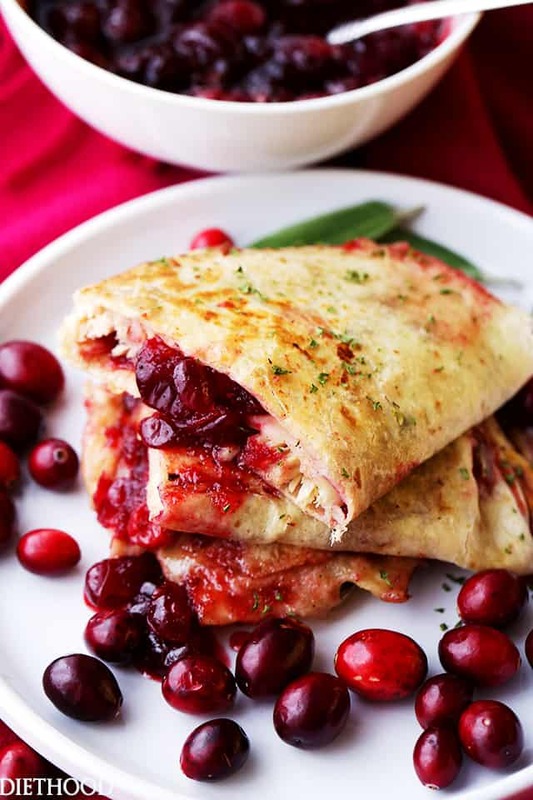 Turkey and cranberry are my favorite! LOL!!! I think it’s the PERFECT choice!! 😀 Thank YOU! Hope all is well, and I hope that you had a great Thanksgiving! Happy Holidays!!! We make a similar version, and bring them to eat when shopping on black Friday. I like your version better, easier to eat on the run.